Saving the best for last? I might think so but I'm clearly biased. 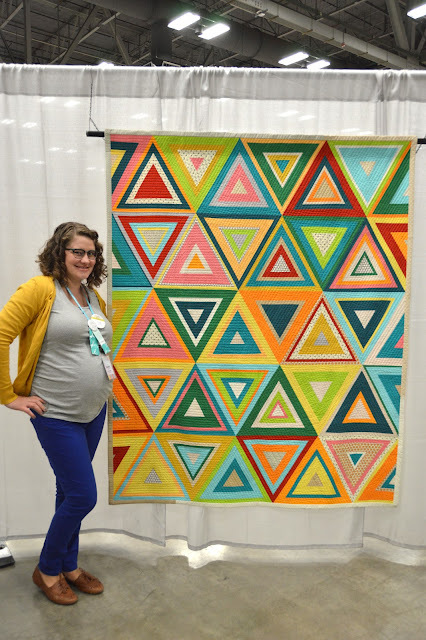 First and foremost we have the Log Pyramids quilt that I entered into the show. I didn't win any prizes (boo hoo) but I was still super excited to have my quilt hanging among so many other amazing quilts. Plus I've since found out that my quilt was selected to be a part of the Best of QuiltCon Traveling Show! So far the show will be making appearances at HMQS in Salt Lake City, Sisters in Sisters, Oregon and Patchwork Europe in France with more stops possibly in the works. 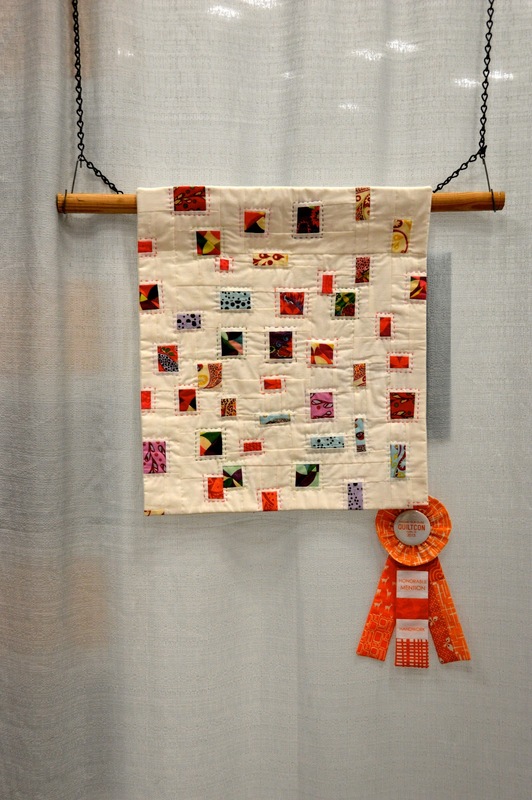 Although I did not win anything, this mini quilt inspired by my Confetti Quilt tutorial won an honorable mention! 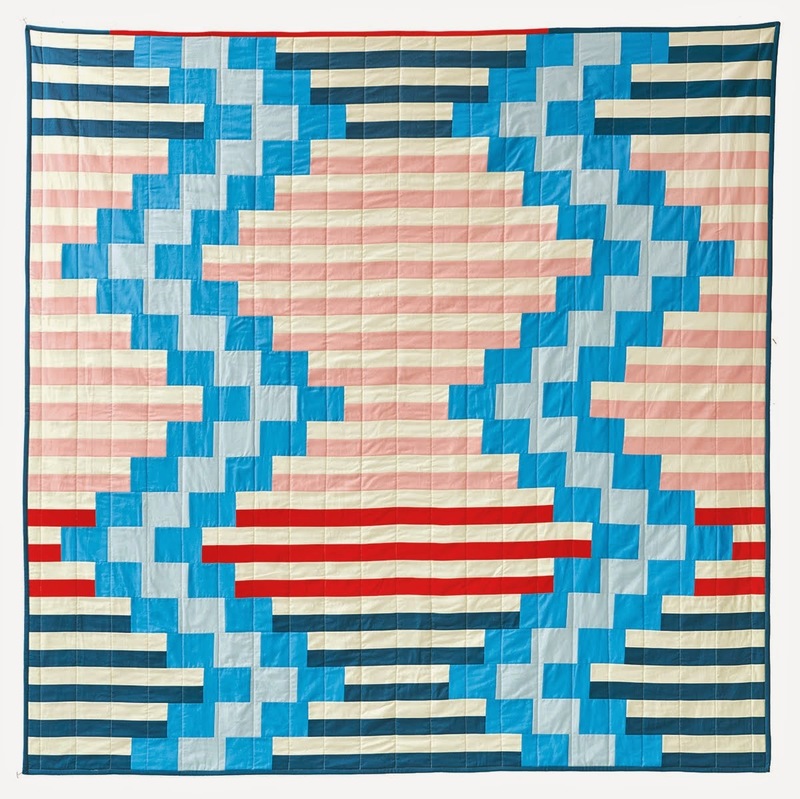 The quilt was made by Felicity Ronaghan from Vancouver and was entered in the handwork, small quilts category. 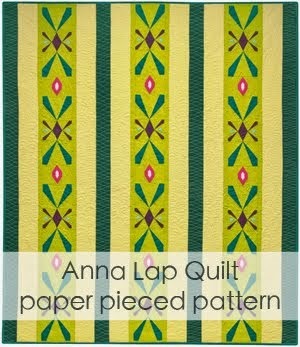 Felicity gave me a very nice little shout out in her quilt description. You may or may not have seen this pattern before. For the last several months it has been available on the Robert Kaufman website but due to my lazy blogging I never got around to sharing it here. The good news is that you can now get the pattern from my shop! 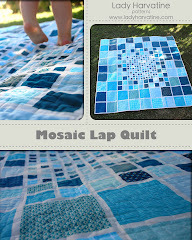 It's called the Mosaic Lap Quilt and I will do a much more detailed post about the quilt and the pattern very soon. But if you're interested now you can check out the pattern here! 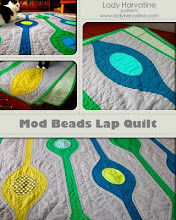 Oh, wouldn't you love to travel with your quilt!? in the near future! You look adorable, by the way! Thanks again for the inspiration, Liz! I think we should consider it "our" honourable mention!